At first, I thought this was going to be the fastest study I’d ever painted. The sketch was done nice and quick, started blocking in colors and working on the shadow shape and thought I was moving at a good clip. Then when I started to refine down to smaller details I realized something: I had no idea how to paint feathers. 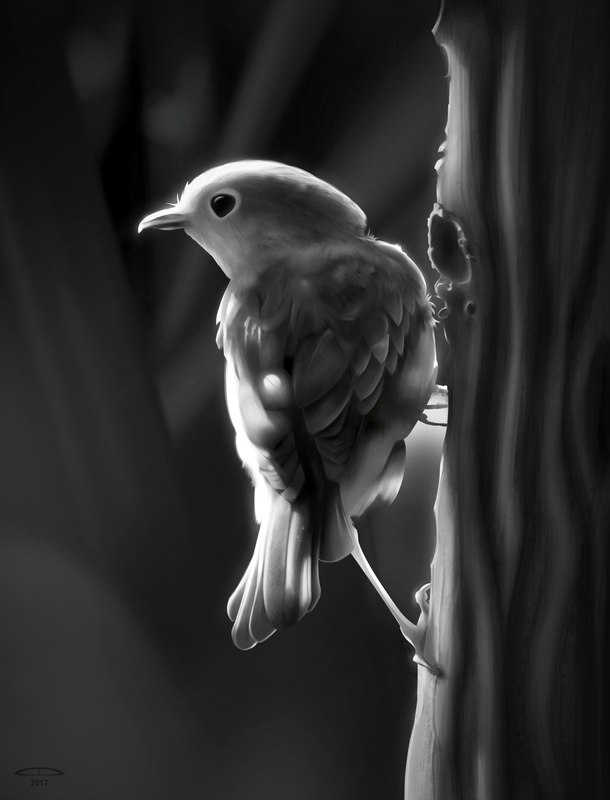 I ended up taking a break from this for like a week while I experimented with painting feathery shapes and tree bark. I don’t really feel like I nailed it, but I got things close enough to where I can call this done and learned enough so the next time I need to paint something feathery I think I can go about doing it properly. I really didn’t give enough attention to the different types of feathers around the neck and wings, and it came back to haunt me after I blocked my tones in because I didn’t really do it correctly and needed to go back and fix it when I started to refine. 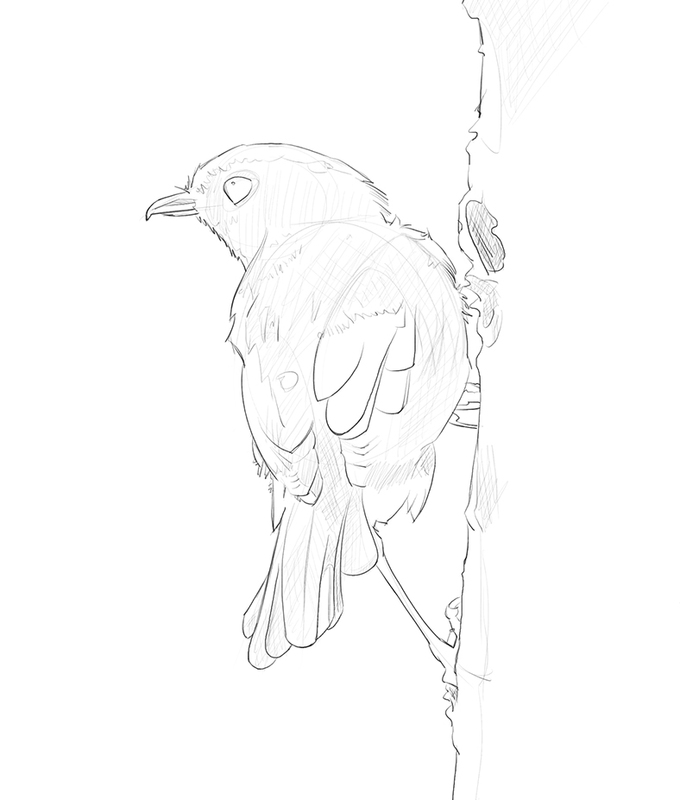 I added a bit too much detail to certain areas too early and it made issues arise with the feathers causing some of my values to be incorrect. But after some rework and minor headaches I got it to a place where I can say it’s finished with lessons learned.